Chinese consumption is flagging. That’s bad for supermarket operator China Resources Enterprise, whose profits fell even as revenue rose. Noodle-maker Tingyi and paper group Vinda spent more to reach thrifty customers. The trend calls high sector earnings multiples into doubt. Customers choose goods at a shop in Beijing October 14, 2013. China Resources Enterprise said on May 26 its net profit for the quarter ending March fell to HK$356 million ($46 million), down 30 percent from the same period last year. The state-controlled retailing group reported revenue up 16 percent to HK$41.8 billion. The group’s retail division saw revenue up 8 percent to HK$28 billion, while net profit for the segment fell 10.3 percent to $471 million versus the same period last year. Same-store sales growth fell 0.4 percent year on year. Tingyi reported revenue of $2.8 billion for the quarter ending March on May 19, up 5 percent from the same period last year. The food maker’s earnings rose 22.4 percent to $128 million. 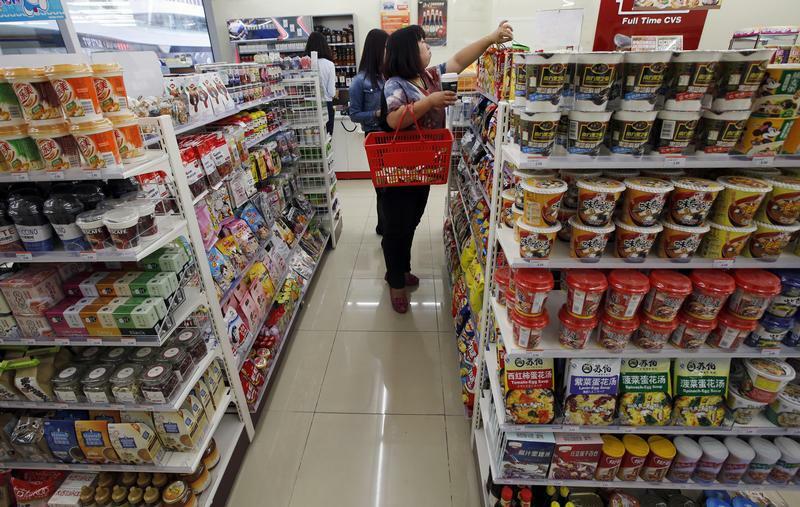 Sales in Tingyi’s instant noodle segment were up 4 percent versus last year to $1.15 billion. Operating profit for the segment fell 4 percent from the previous year to $122 million. Vinda reported results for the quarter ending March on April 29. The paper and tissue maker said unaudited sales rose 9 percent to HK$1.77 billion. Operating profit for the group fell by 10 percent year on year to HK$144.5 million.